Okay everyone I’m so excited to share with you my new obsession! 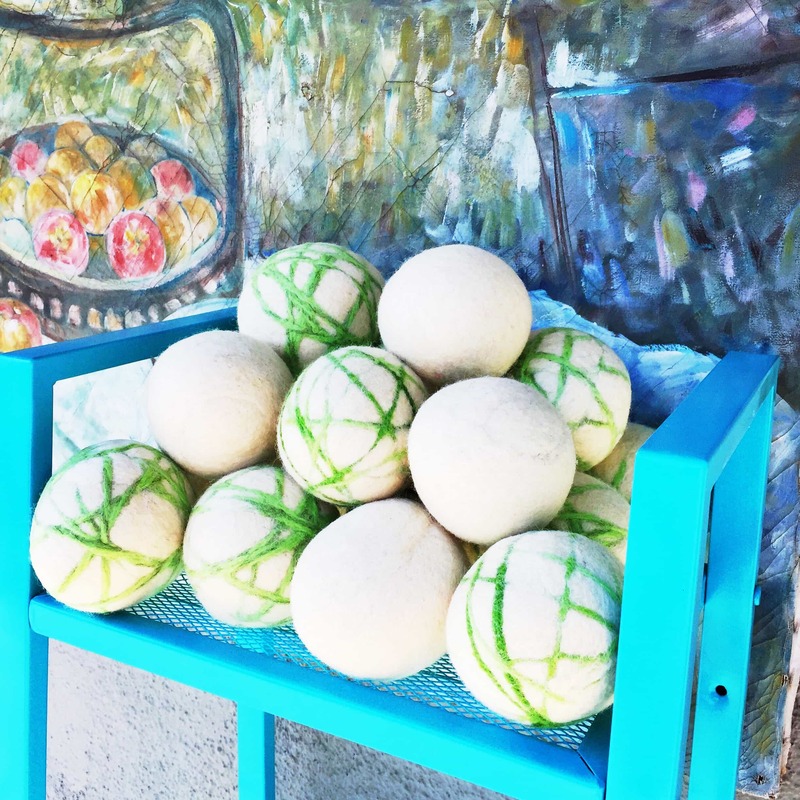 My good friend, Heather, at Gray Sheep Shop sells wool dryer balls. 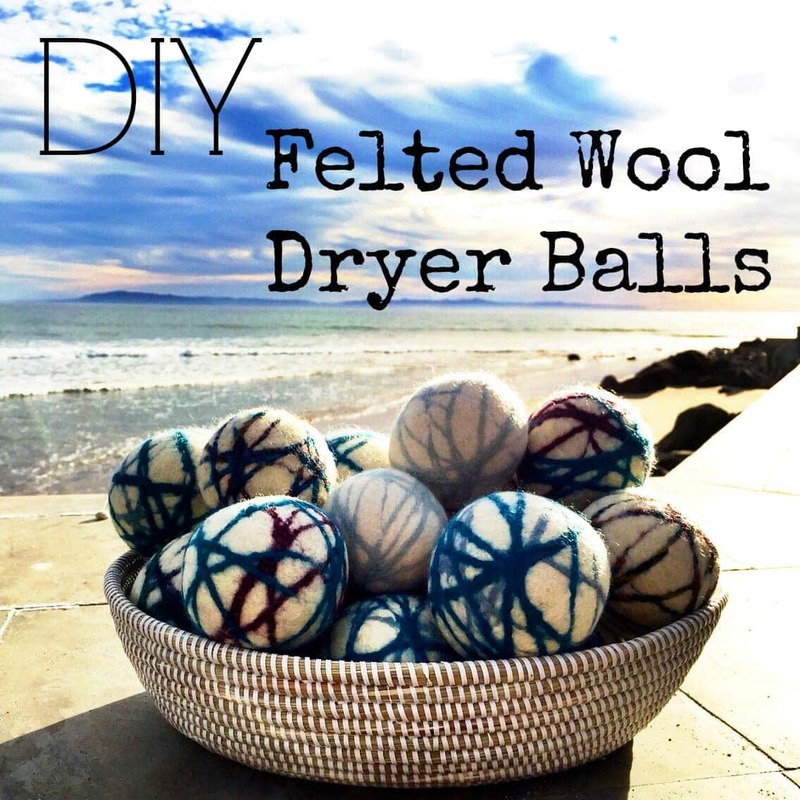 Felted wool dryer balls are a natural, whimsical and sustainable addition to your laundry routine. Wool is a naturally absorbent material that softens laundry and speeds dry time, all without the use of any chemicals. 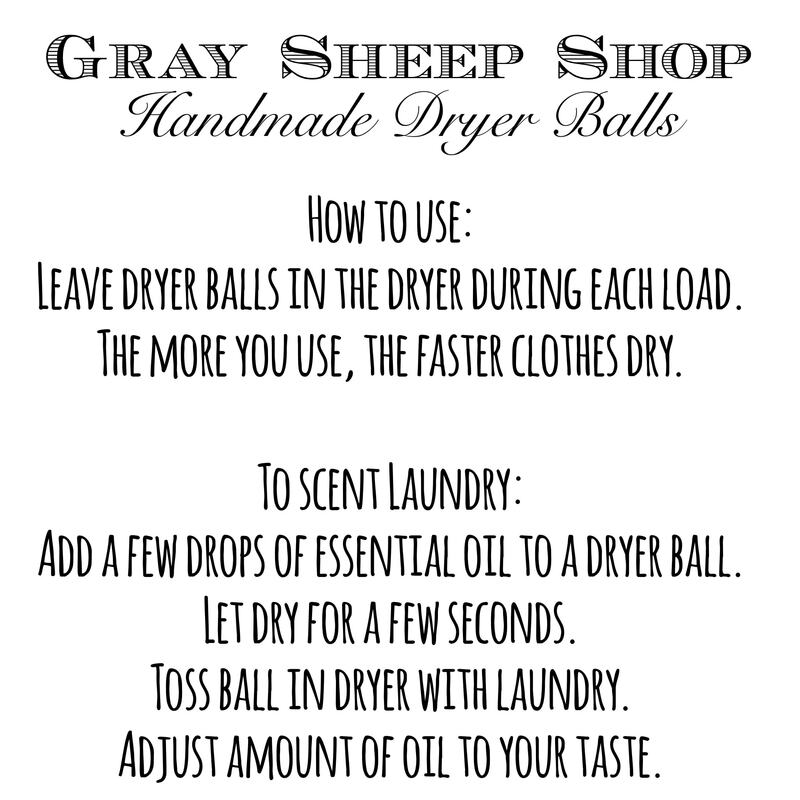 Here are a couple other great things about these amazing dryer balls! Heather has graciously shared with me her step by step tutorial and is letting me share it with all of you! How cool is that?! 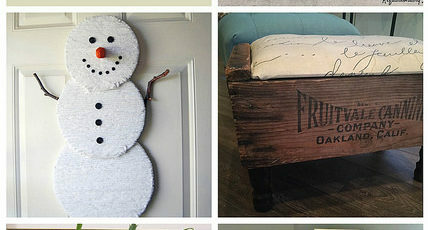 Some people make these with wool yarn, which Heather use to do but now she makes them with wool roving and wool yarn to add the accent colors. 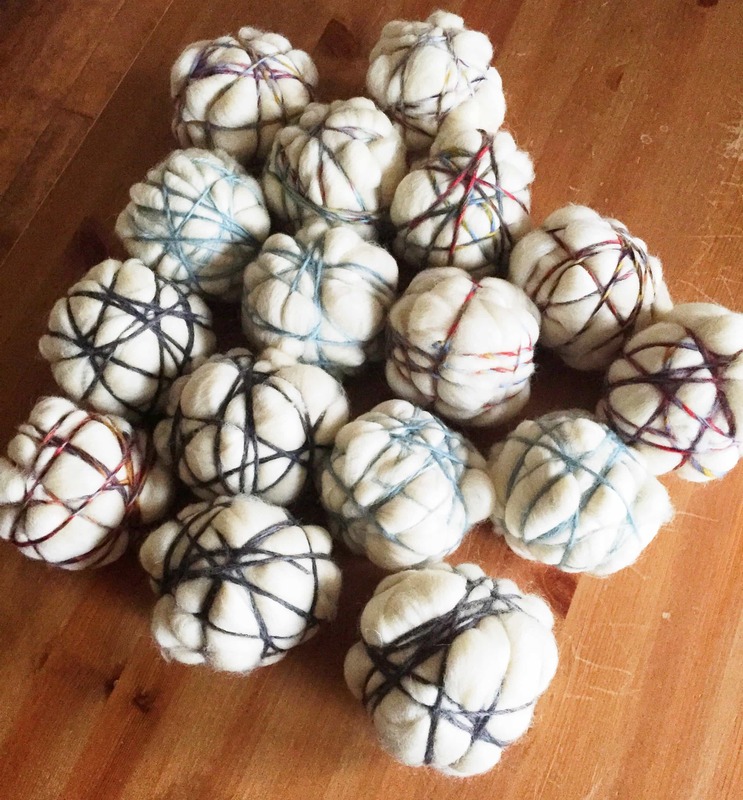 The wool roving material is less likely to unravel which means the dryer balls are less likely to unravel. 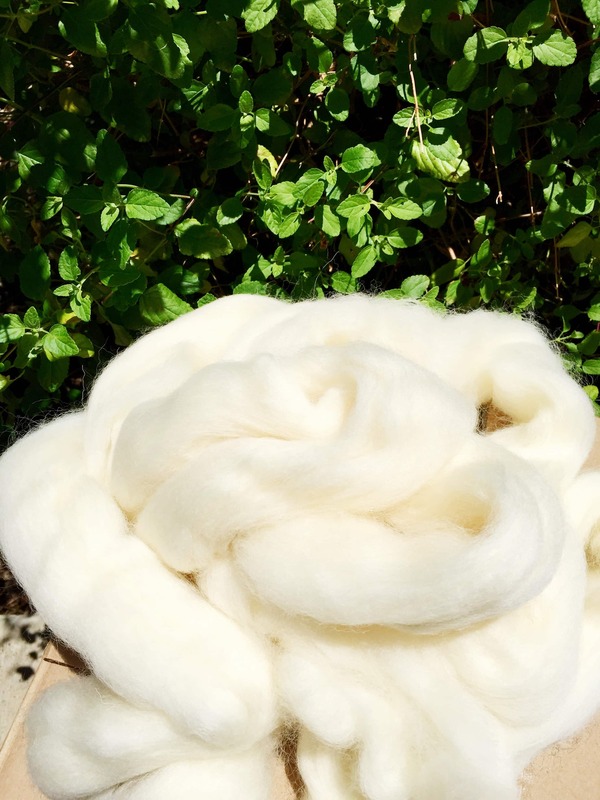 It’s also important to use 100% wool – no blends or it won’t work. 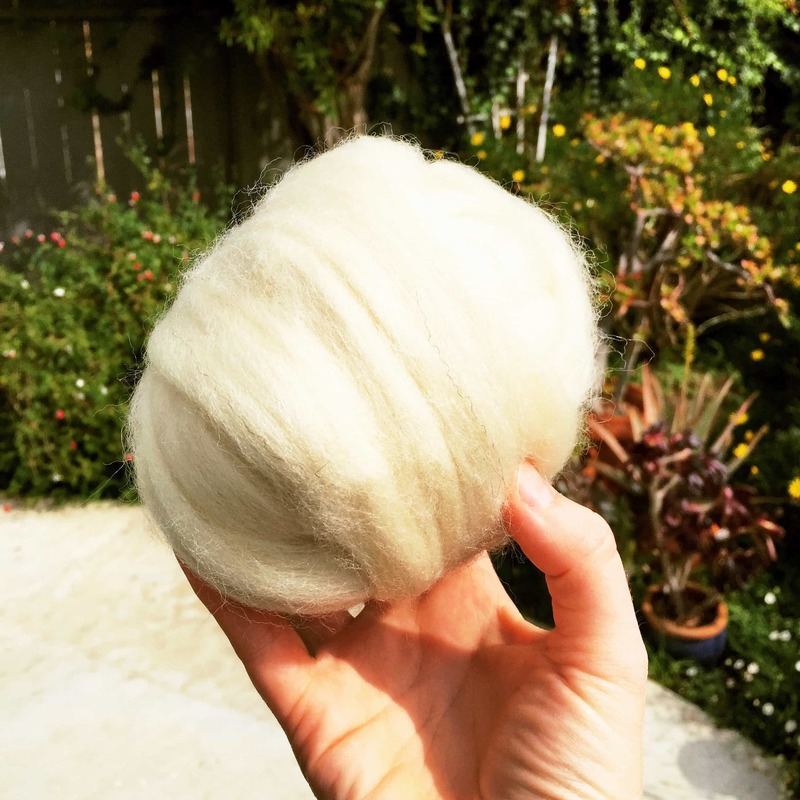 Heather purchases her wool roving from Paradise Fibers. 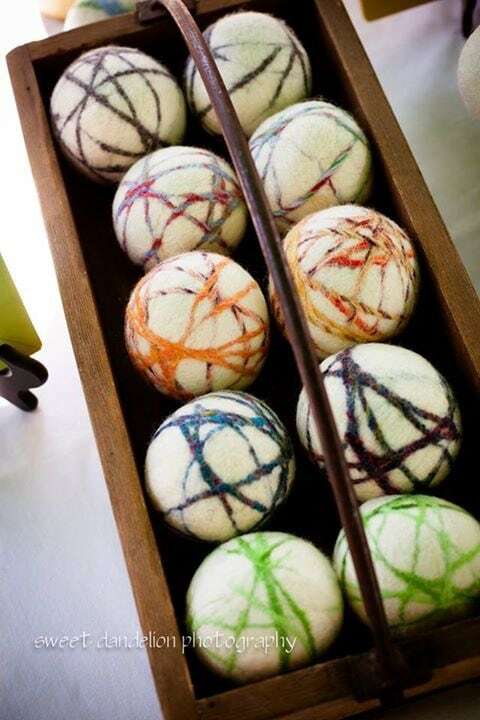 You use about 2-4 oz of roving per ball. 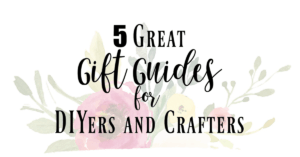 You can then purchase the yarn from most craft stores. First you start with the wool roving. You then wrap it into a large ball. 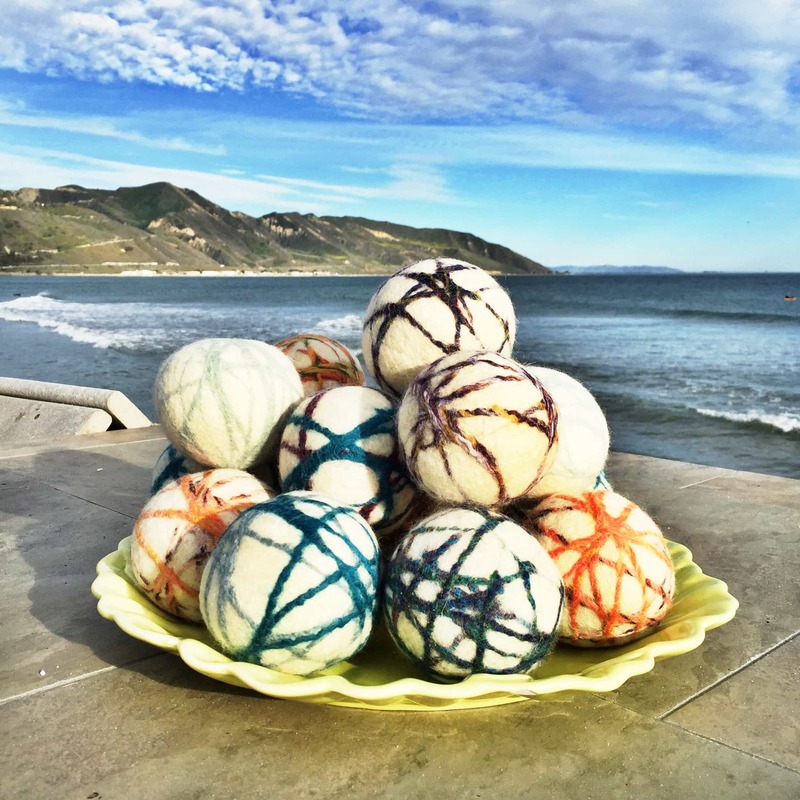 The balls shrink a lot through the felting process. 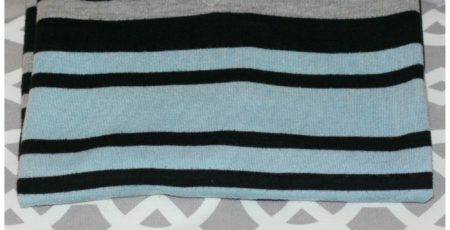 You then add accent yarn and be sure to tuck ends in securely to avoid unraveling. After all of this is complete then you tie the balls up in pantyhose or tights and run them through the washing machine and then the dryer on the hottest setting. At least three times. The heat is what felts the balls so the fibers fuse together. Not only are they adorable but they work great too! I have been using them and have had amazing results! 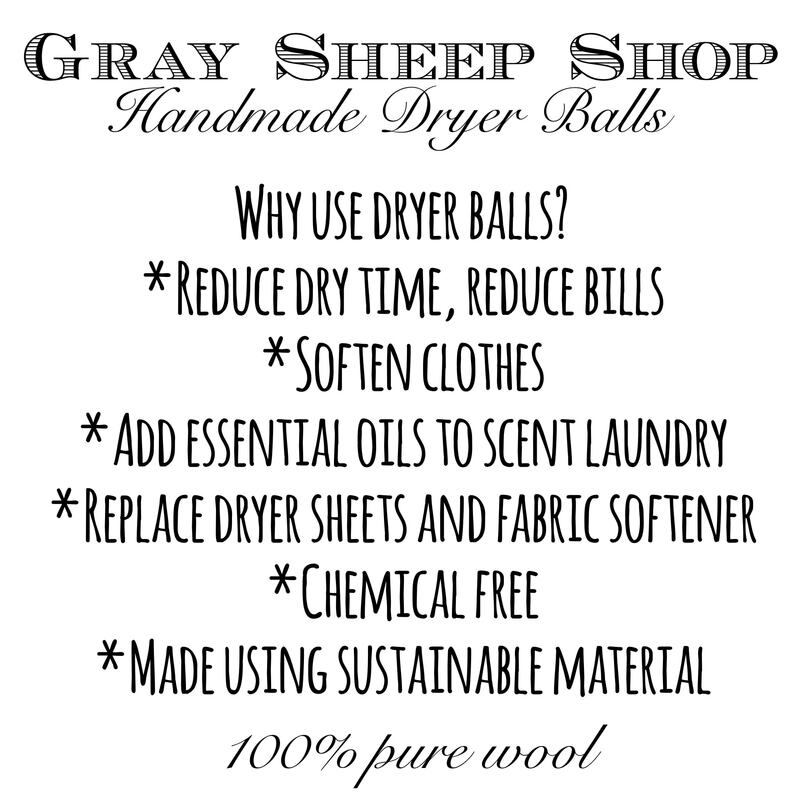 If you are interested in purchasing Heather’s wool dryer balls please go to her Etsy shop, Gray Sheep Shop . You can also find her on Instagram. If you have any questions please feel free to contact Heather! Doesn’t she make a beautiful product? 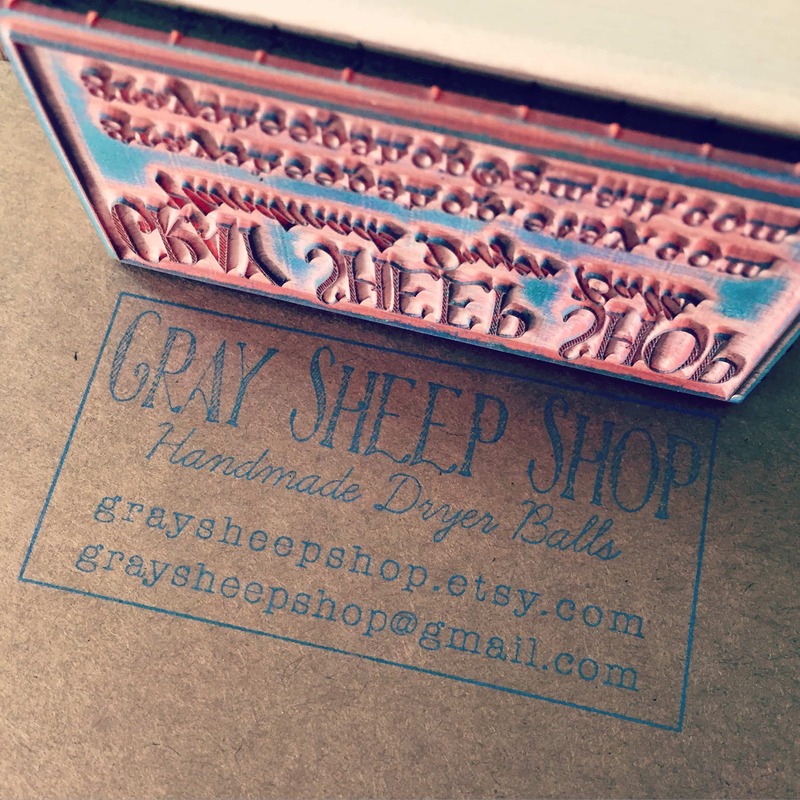 Thank you Heather from Gray Sheep Shop for sharing your secrets with us! There are so many harmful things in our everyday products so it’s nice to know how safe and natural these wool balls are! Happy making or happy shopping everyone! Wow this is such a cool idea! And that fact that you can add essential oils makes me love it that much more! 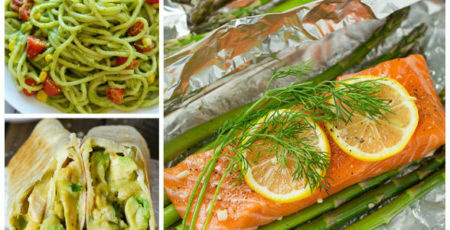 Thanks for sharing and joining the Link-It To Me Link Up Party, looking forward to partying with you again next week! Yeah I love the idea of putting essential oils in it too!! 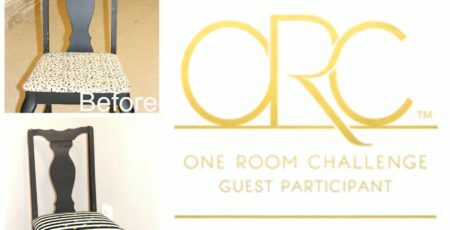 Thanks for hosting the Link-It To Me Party! I’ll see you next week! I’ve been meaning to make felt balls for the longest time. 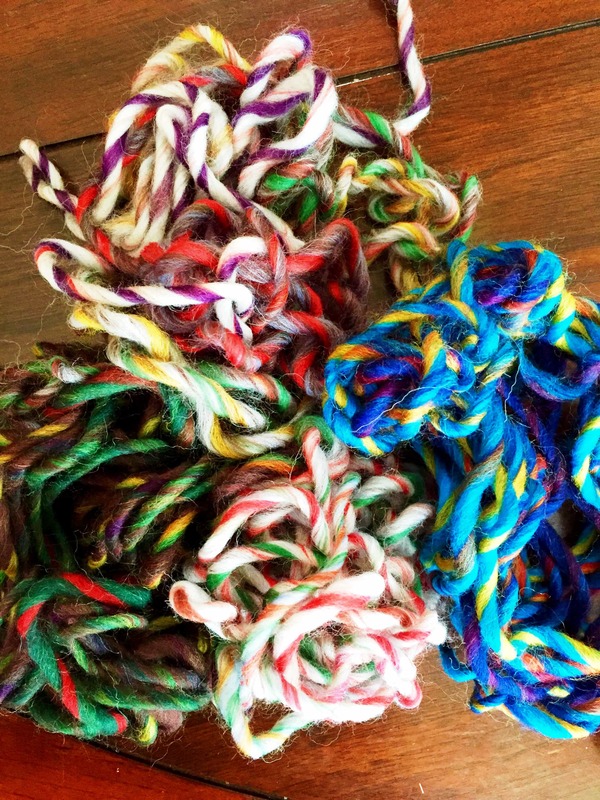 I like the idea of using wool roving to prevent unraveling. Thanks for sharing on MM.